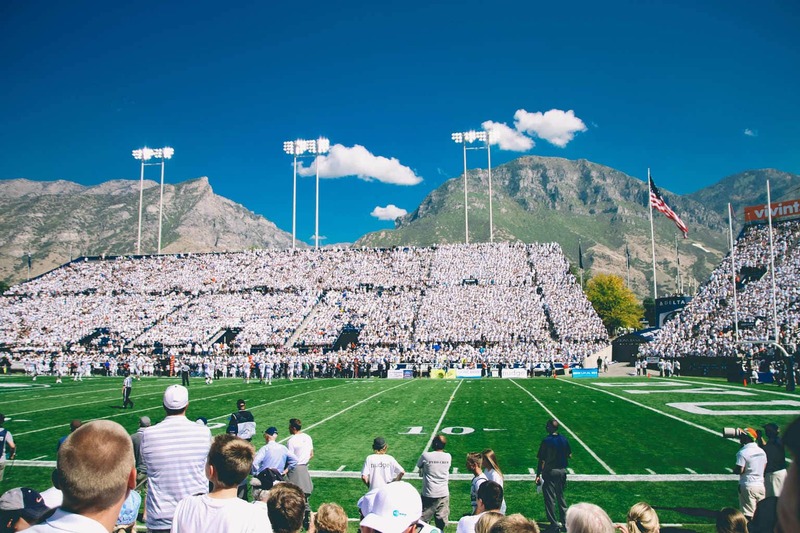 Whether you’ve been a football fan since the cradle or are the type to choose your favorite team by cuteness of mascot and team colors (guilty), you can’t deny the appeal of your college’s game day. College game day is just one of those days where, despite the vast difference in majors or age or even interest in the sport itself, everyone unites in a common ground to share a common interest: the football game unfolding in front of them. If you’ve ever been to a game, you know the feeling. 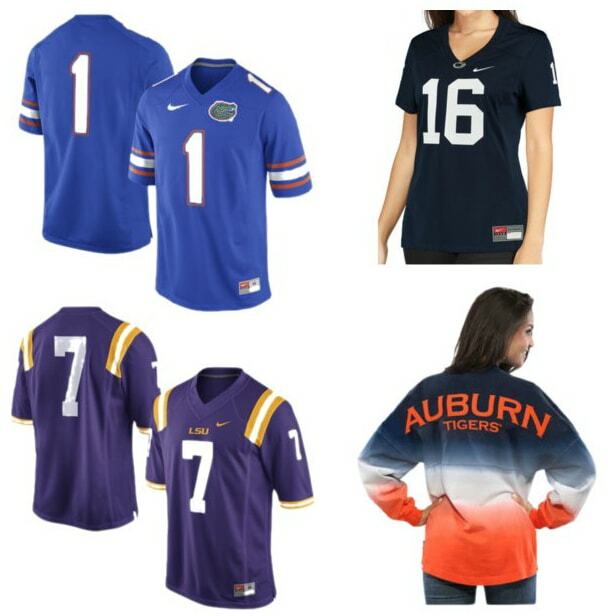 Either way, apart from the game itself, there’s always a second distraction for the avid fashionista out there: picking the perfect game day outfit! After all, you want to support your favorite football team, but you also want to stand out in the stadium with a comfortable and stylish look. If it’s a a home football game for your college team, I suggest wearing your college’s jersey tee: a Broncos jersey would obviously be out of place in a Harvard vs. Princeton game. Also, if you don’t already have your own team spirit tee, your best bet is in borrowing a male friend/sibling/BF’s oversized jersey —men’s jerseys are surprisingly comfy! For when it’s still hot outside, try going for a dress that’s relatively short, sleeveless, and in the color(s) of the football team you’re rooting for! It’s an easy and definitely stylish way to show some support for your favorite team. Also, don’t forget to dress according to what the weather will be like when it’s game day: a light sundress will totally work towards the beginning of college football season, but not so much nearing the end of it (like, say, December). 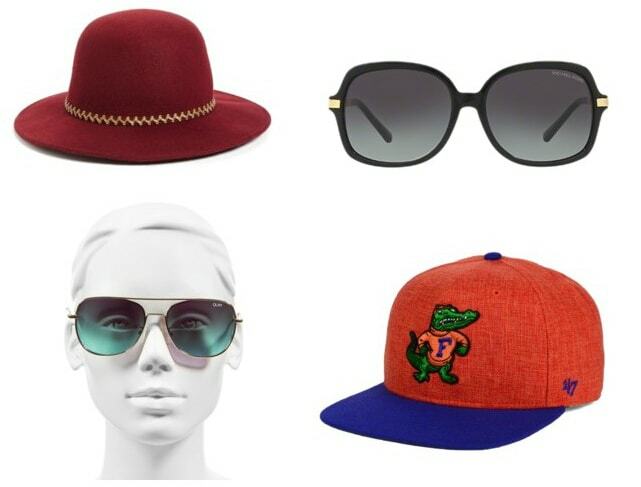 Here’s where you can really mix it up and make game day fashion your own! Choose any hat from a suede fedora to an official college team fitted cap, and then from there decide on whether you want or need a pair of sunglasses. My advice? Always go for the friendly team mascot cap, especially when your team’s mascot is a particularly photogenic alligator. Again, mostly relevant for when it’s sizzling outside. The best thing about shorts is that they’re easy and casual, which is what game day fashion is all about. Invest in as many pairs of shorts as you can and you certainly can’t go wrong! Also, if you’re really into matching, go ahead and wear colored shorts that match your jersey tee or team spirit tank top: it’s a look that’s definitely uniformed and stylish. You don’t need to be lugging around a large tote bag for a football game; instead, carry only the essentials in a handy crossbody bag. It’s something simple and sweet that you can just sling around your shoulder and forget it’s even there when you’re standing up and cheering on your favorite team! 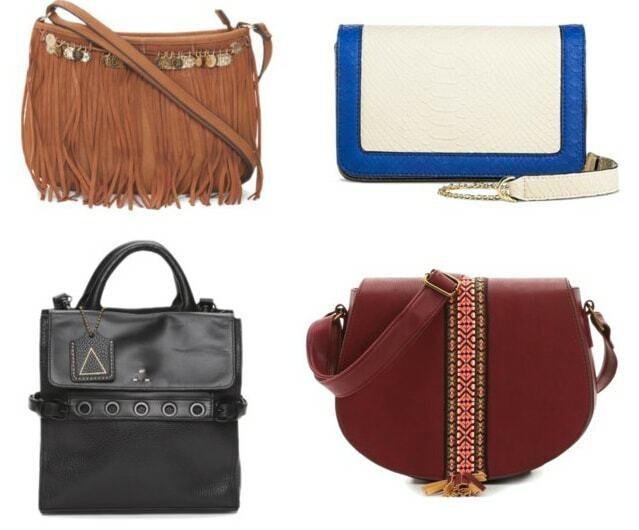 (In addition, pay attention to your stadium’s bag rules – many only allow bags of certain small sizes.) Pro style tip? Find one with your team colors on it. 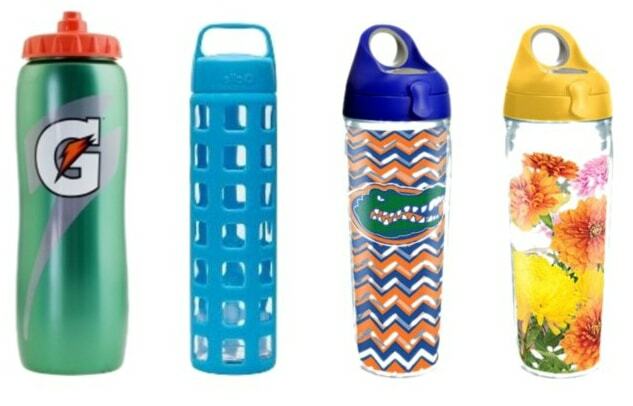 Stylish water bottles are an absolute must for football games! All that cheering and loud pep for your team is bound to make you absolutely parched, and bringing your own reusable water bottle is waaay better for the environment (and your wallet) than purchasing a plastic one in the game. Personally, I’m a huge fan of Tervis water bottles—especially with their signature floral motifs!—but to each their own. 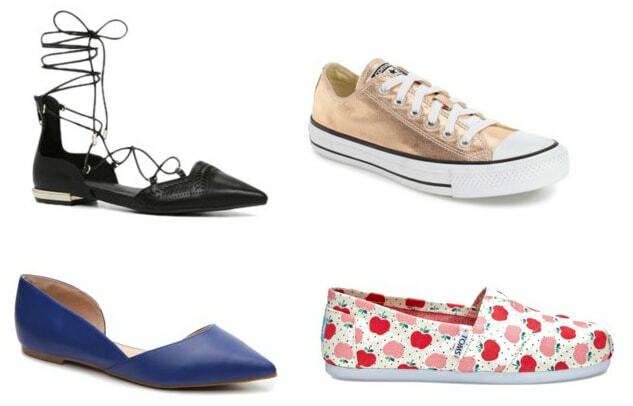 Whether you’re a sneakers gal or obsessed with your newest pair of embellished ballet flats, there’s definitely a right and wrong shoe to wear to the football game. Pumps, for instance? Not my ideal choice. Wedges? I’d warn against them, unless yours is among the schools where dressing up is tradition. But anything that’s ground-level and has some sort of cushion to it (remember, you’ll be standing up for the majority of the game!) is perfect. Have you gone to any of your school’s football games yet? How was your experience with the game day spirit? Would you follow these fashion guidelines, or is there something distinct you always wear to a game day (say, a specific lucky bracelet)? Tell us this, and more, in our comments box!